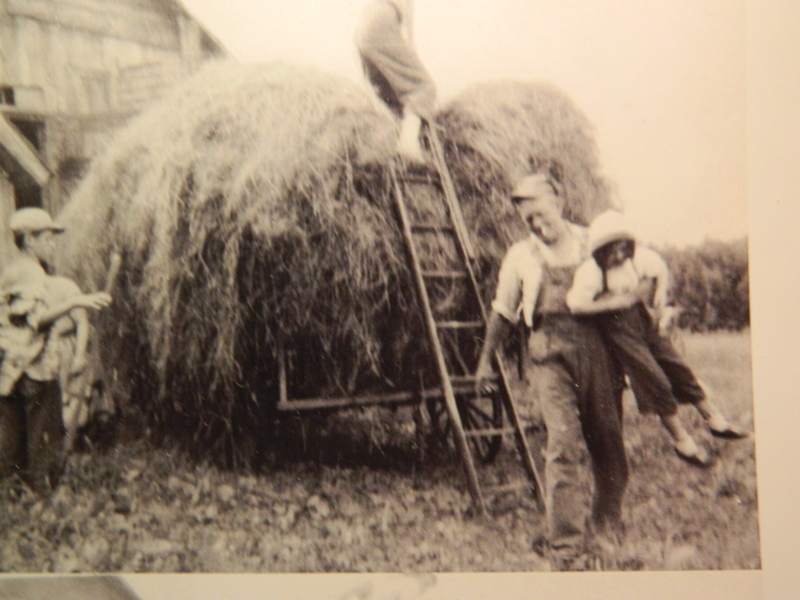 Uncle Bob gives Candy a lift following a hayride on the Bennett Family Farm in New Hampshire. 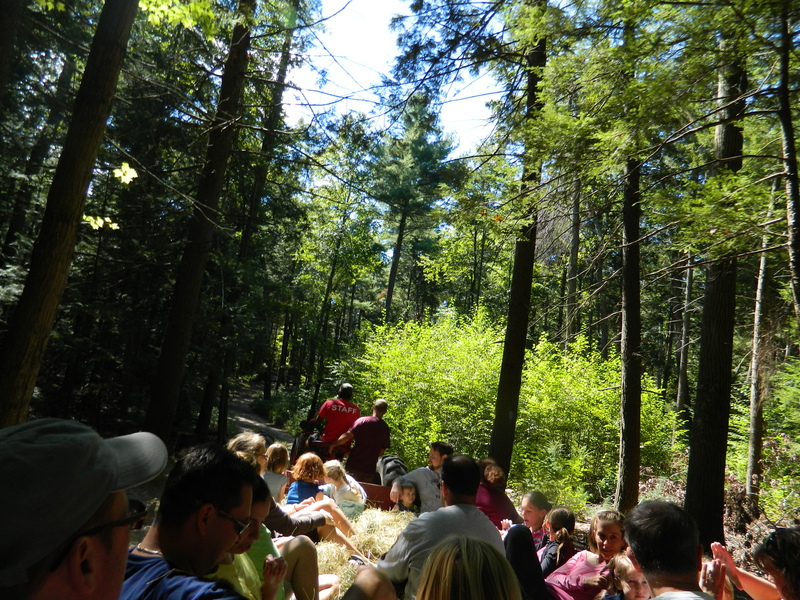 Among the many photos I have taken, one of my favorites I shot during my first ever hayride. It was on a gorgeous, late summer day in September of 2012, sunny, dry with a slight chill in the air – perfect sweatshirt and shorts weather – my favorite kind. I attended the Grange Fair in West Simsbury, Connecticut where they were offering free hayrides, and I decided it was high time that this New England girl get aboard to find out what it would be like firsthand. To get started, the line of eager passengers was to climb up a small step ladder into the wagon. Thanks to my long legs the step ladder was unnecessary for me. I waited to be the last one, then slid onto the wagon’s edge before the back was lifted and hitched. Slowly the ride began across Farms Village Road onto a wooded trail and then pass picturesque farmland. Clump, clump went the sound of the horse shoes on the dirt and bump, BUMP, went the ride as passengers giggled and smiled. It went on for close to an hour and I can truly say I enjoyed every minute! After the horses were unhitched. 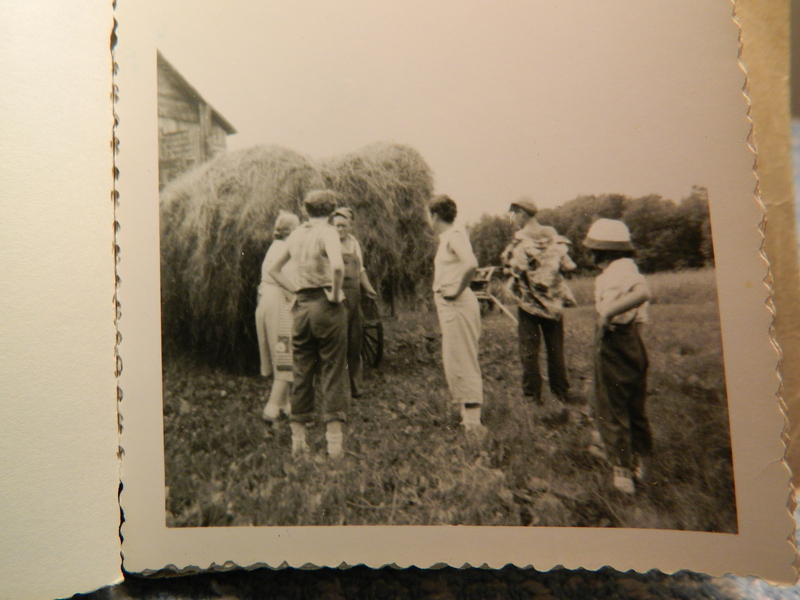 Growing up I listened to my older siblings reminisce about the glorious hayrides they had taken on Uncle Bob’s and Aunt Vi’s farm – the Bennett Family Farm in New Hampshire. It was still very much a working dairy farm when I was young. Each summer my father, mother, my sister Candy and I, then a few years later my niece Debbie too, would drive up to New Hampshire from Connecticut to visit our relatives on the farm, including Gram Bennett – Dad’s mother. 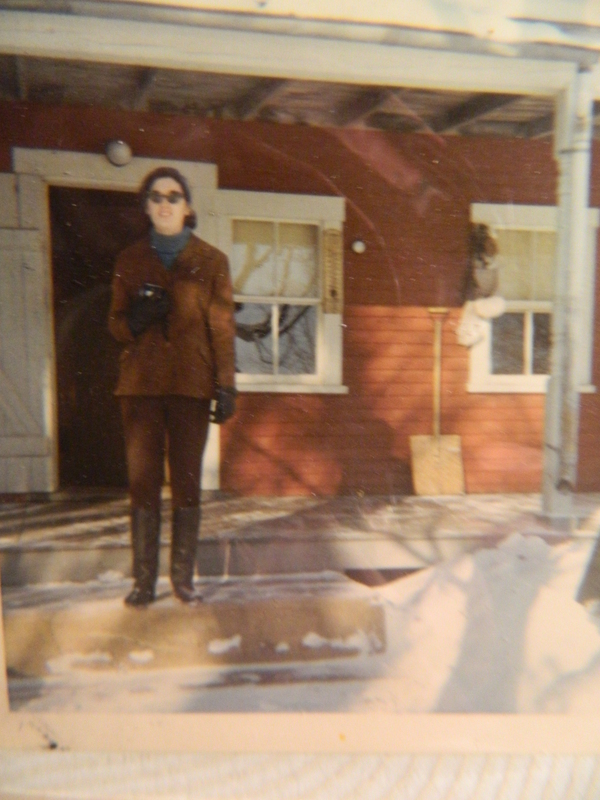 A few years after those hayrides ….Candy on the front steps of the Bennett Family Farm in New Hampshire. My first hayride at the Grange Fair in West Simsbury, Connecticut September 2012. I remember my dad carrying me down to the barn and then watching Uncle Bob milk what looked like an endless row of cows. Dad always stopped at the local grocery to pick up store bought milk before our arrival because we were not accustomed to the farm fresh taste. By the time I came along, however, those hayrides were a thing of the past. 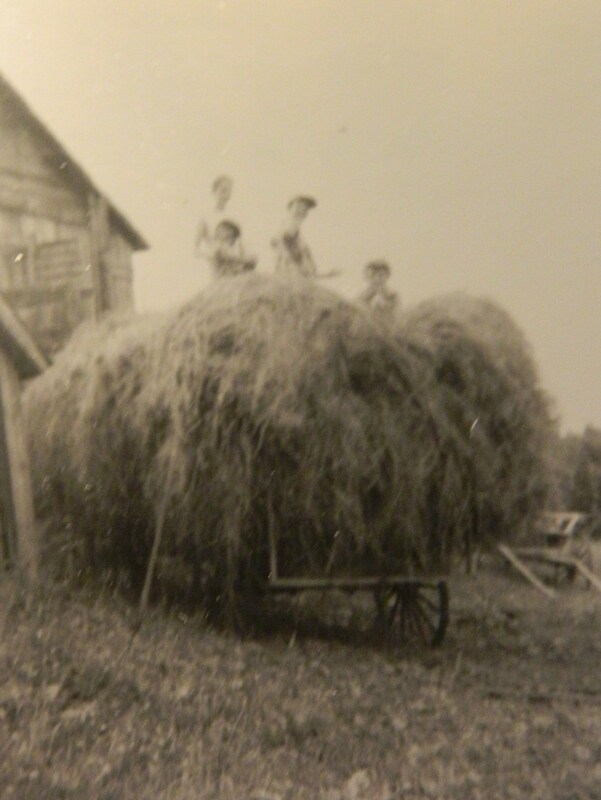 Recently I found a treasure chest of old family snapshots showing some of the Bennett clan and Uncle Bob’s hay wagon. The most eye-catching one is of Uncle Bob lifting Candy from the wagon! I may have missed out but it has been a treat to finally see what I had only heard about before, and, vicariously enjoy the days of hayrides on the Bennett Family Farm. Thanks to my own hayride at the Grange Fair, I really can relate to what a special experience it was and the fun of it all. 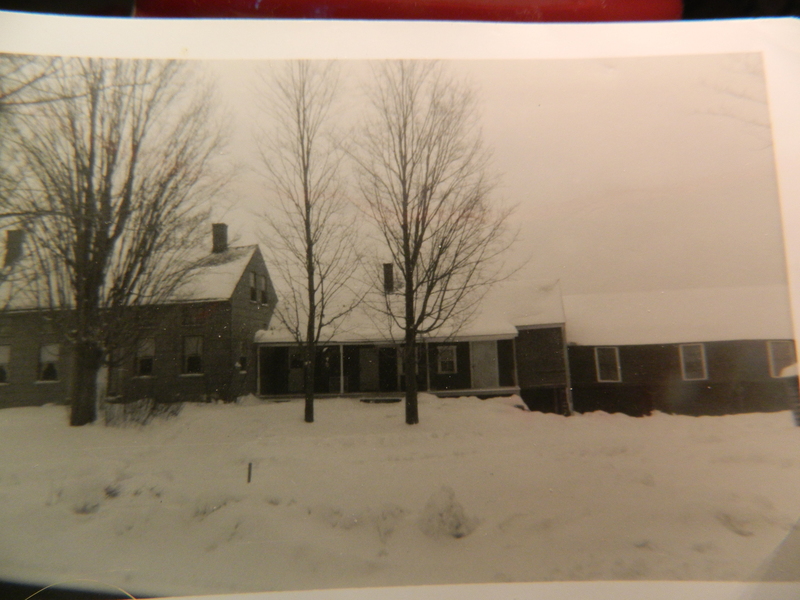 A winter scene of the Bennett Family Farm in New Hampshire brings back cherished memories of a distant vista of the White Mountains, morning walks down a country road – indoors, the warmth of Gram’s pot belly stove and all of us gathered around Uncle Bob’s and Aunt Vi’s kitchen table looking through family photo albums. The farm still stands. After the passing of my uncle and aunt, my cousin and her family lived there for many years, eventually selling it to caring new owners. It has since changed hands once again to another caring new owner who has begun renovations. O, my goodness! Memories abound! Being the cousin on the farm I can say that it was a special time when all of the Bennett cousins arrived – the “city slickers”. Vividly remember the rides on the haywagon around the fields pulled by the horses. Usually I was on the wagon alone with Dad and it was a thrill to have company. I wonder if any of the Bennett cousins got stung by a bee in the hay. I know I did.